I have used Google Analytics for as long as I can remember and I never gave it much thought. It was just what everyone used so I did too. But a few weeks ago I decided to check out some google analytics alternatives. I don’t know what first planted the thought in my mind but I suspect it was all the internet privacy concerns lately and the fact that google analytics is used on 56% of all websites according to the W3Techs Survey. So on July 23, I installed Matomo to try it out. I let it run side by side with Google Analytics for about a week so I could compare and I fell in love with Matomo! The reason I decided to go with Matomo is because it is open source and you run it yourself on your web server. The install process is a lot like WordPress or PHPBB. Ones it is installed you can generate some code to put on the web pages you want to track. And because it is running on your website and database you have full control over the code and the data. So you can adjust it to your needs. But it works great out of the box. It has lots of built-in settings to adjust so and I have not had to make any changes to the code. I do not like the Google Analytics Interface much after seeing Matomo. And I do not think I am the only one based on all the guides and classes for Google Analytics out there. Matomo may not be as pretty but I think it is a lot easier to find things. They have a demo running so you can see the interface for yourself. But it looks like some of the things you can do are limited in the demo. I have only used Matomo for a few weeks and I have already learned things about my website traffic that I never knew before. Maybe a google analytics pro could find the same info. But the fact that I could see the things I want to without fighting through an interface made me happy. Matomo even has a phone app that you connect directly to your website with the analytics URL. Another thing I have noticed is my google analytics account is still reporting a few visitors on the root of my websites long after I have removed the scripts. I am not sure why that is happening but that is another strike against google analytics for accuracy. Matomo is GDPR compliant and has lots of built-in Privacy features. Data is automatically anonymized such as the IP address. Records can also be set to auto-purge after a set amount of time. But Matomo is still open source and installed on the webmaster’s server. So it can be configured or altered in such a way that it is no longer GDPR compliant. But It is probably still better than Google watching your internet activity over 56% of all internet websites. I would highly suggest giving Matomo a try. You have nothing to lose when you can run Matomo and Google Analytics at the same time for as long as you want. Ones you have a few weeks or months worth of data you can start to compare and see what works better for you! You may be surprised like me! 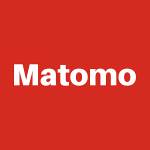 You can download Matomo at https://matomo.org/.